In recent years, here at Rusutsu Resort, we have been striving to better accommodate international guests. A large part of this has been our desire to cater to Muslim visitors. In order to achieve this goal, we created Muslim friendly meal which complies with Halal guidelines. The necessary Halal environment was created by carefully selecting the appropriate ingredients and seasonings. Our new Muslim friendly meal was produced under the guidance of or our recently appointed Muslim Food & Travel Adviser. In order to create a delicious Muslim friendly meal, our menu uses Halal chicken and beef sourced from our nominated Halal certified butcher. This meat is processed and delivered following strict Halal procedure and segregation guidelines. Our Halal meat is stored, prepared and cooked in a separate kitchen. 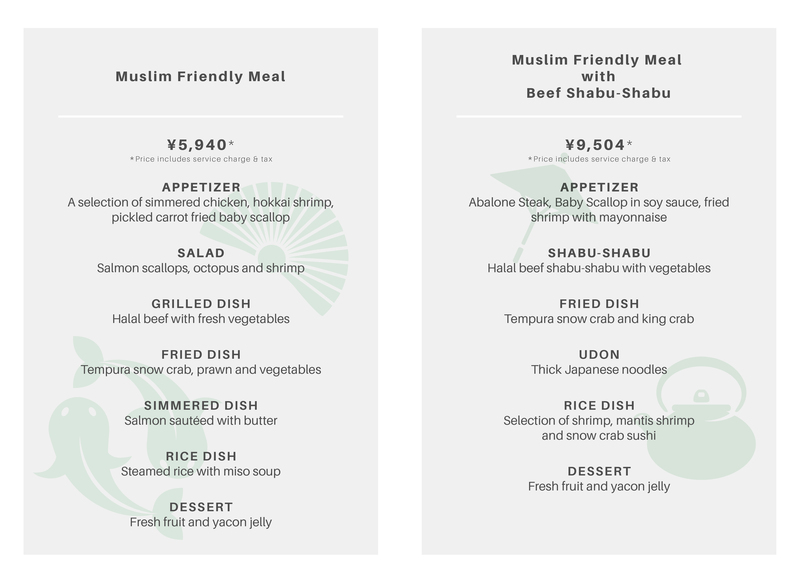 Muslim friendly meal is on a request basis. Please call and make your reservation 3 days in advance. *Your call or email will be transferred to the relevant department.